Miss District of Columbia USA Kára McCullough is your new Miss USA 2017! Kára earned her Bachelor of Science degree in Chemistry with a concentration in Radiochemistry from South Carolina State University. Her major provided her the opportunity to intern at many universities, which paved the way to her current career at the United States Nuclear Regulatory Commission. Kára also has a personal community outreach program entitled, Science Exploration for Kids (SE4K). SE4K features interactive science activities, and math and science tutoring for children scholars grades 6-11. Kára was born in Naples, Italy, but raised in Virginia Beach, Virginia. As the daughter of a now retired United States Navy Chief Petty Officer, she has traveled and lived in many beautiful places including Sicily, Japan, South Korea and Hawaii. 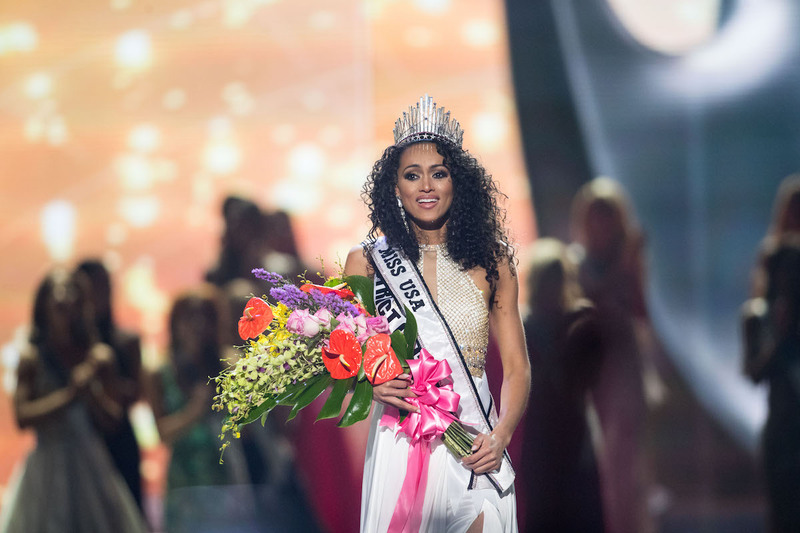 Miss USA Talks Competing in Miss Universe, NYC, Nebraska Cornhuskers, and More. Miss USA, Sarah Rose Summers, Does Her CYInterview to Perfection.